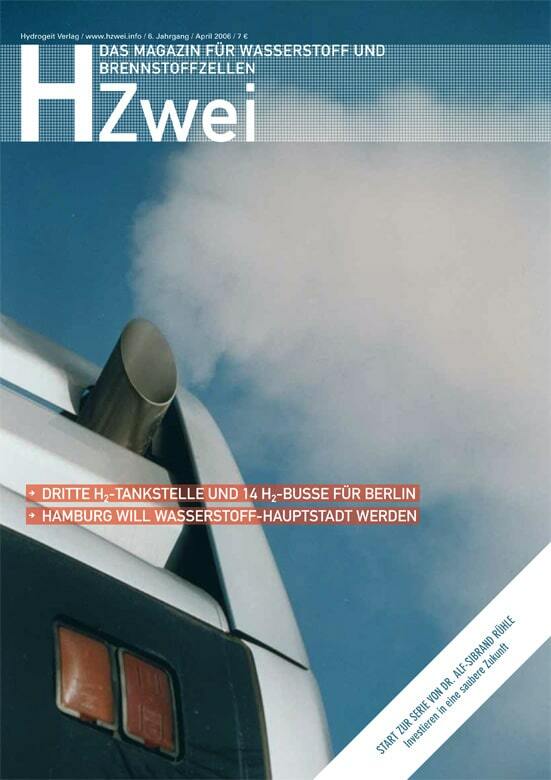 After ten years, HZwei’s editors can now rightly claim to have created the only well-established long-running trade publication on hydrogen and fuel cells across the German-speaking region. And what exciting developments did this decade have to offer? Although everything took much more time than we had hoped, we are now seeing the first commercially available fuel cell cars that ordinary citizens are able to buy or lease (see The Toyota Mirai Is Here) – and this despite the continued hesitation of German carmakers to enter into the market. The number of H2 filling stations increased to 54 in Europe and 20 in Germany. The fuel cell heating systems that had been on everybody’s wish list for a long time are – finally – available to consumers or will be available to them this year (see Fuel Cell Manufacturers Target Installers). At the same time, however, many companies and applications could not share in the success on the market: For example, MTU Friedrichshafen exited the industry many years ago. Instead, the company widely regarded to be its successor, FuelCell Energy, is enjoying tremendous growth and is being flooded with as many orders as never before. Masterflex has long since parked its fuel cell cargo bike in the garage. In place of German in-house developments, almost all fuel cell heating systems include a stack built in Asia. The question repeatedly asked back then was where the fuel cell would be produced in the future. This question can now be answered: The fuel cell won’t be a made-in-Germany, but an imported-to-Germany product. Another crucial stage that the HZwei editorial staff was allowed to witness was the first edition of the National Innovation Program Hydrogen and Fuel Cell Technology (NIP) – from the founding of NOW to the negotiations over NIP 2. Our preliminary assessment of the EUR 1.4 billion program is that the industry used it almost like a self-service store to help themselves to various demonstration and research projects, but that the program failed to deliver much of anything and that neither the infrastructure expansion, nor the number of heating systems came even close to matching previously set targets. In other words: If the German Taxpayers Association were to check how much money was spent on which project, it would deliver a harsh verdict, as some things could hardly be seen as benefitting taxpayers. All in all, we look back at the past decade with mixed feelings. What remains is the hope that over the next ten years, customers and consumers alike could finally be convinced of the advantages of H2 and fuel cell technologies. We would also like to use this opportunity to thank all our loyal HZwei and H2-international subscribers as well as those who made the success of HZwei possible.